Charlton Bed & Breakfast Inn Our records show that this inn is closed. White Oak Bed and Breakfast Our records show that this inn is closed. Serenity, a Bed & Breakfast Our records show that this inn is closed. 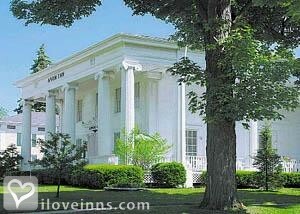 Avon bed and breakfast travel guide for romantic, historic and adventure b&b's. Browse through the iLoveInns.com database of Avon, New York bed and breakfasts and country inns to find detailed listings that include room rates, special deals and area activities. You can click on the 'check rates and availability' button to contact the innkeeper. Because it is located near the Finger Lakes in the state of New York, Avon is a town surrounded by many scenic spots. It is close to Letchworth State Park, a favorite for hot air ballooning, hiking, and whitewater rafting. During the winter, the park also becomes popular for snowmobiling and cross-country skiing. Another interesting spot near Avon is Mt. Morris Dam at the Genesee River. There are about 70 wineries and some of these are close to Avon bed and breakfast inns. Avon is also a few minutes away from the SUNY campus at Geneseo. Other attractions that are located near the town are George Eastman International Museum of Photography and Margaret Woodbury Strong Museum.